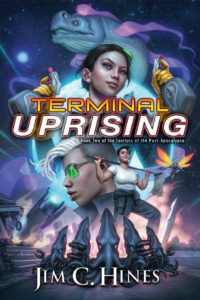 I decided to go with a lighter blog post for today. Feel free to debate and discuss. 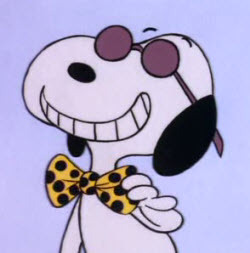 Proposal: Snoopy is actually a Time Lord. Probably the Doctor. His dog house is canonically bigger on the inside. He is known to have traveled in space. He’s been known to wear bow ties. 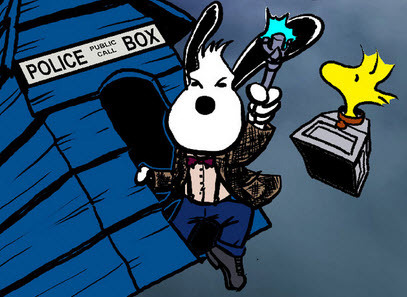 Snoopy as Doctor Who, by Kieron O’Gorman. Click the pic for the original artwork. This has implications for my theories regarding Oscar the Grouch. 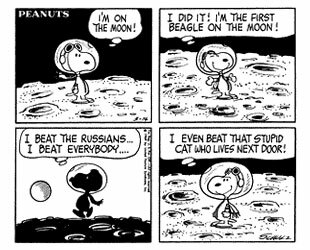 Not a fan of Dr. Who (I know, I know, DUCKS), but I adore Snoopy! 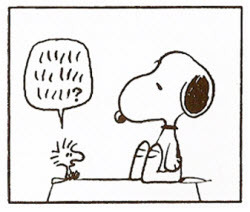 I think that I did my first fanac ever with regard to Snoopy: I so loved the comic strip that ran in the daily paper that I began cutting it out every day (the day after of course) and pasting it into a big scrapbook: the Sunday color strip took the whole page. 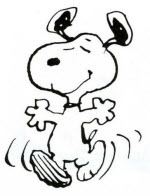 I adore Snoopy! There was a t-shirt for sale the other day that I immediately bought that had Calvin and Hobbes and a cardboard box as a Tardis–I guess I just love the crossovers between the Dr. Who verse and my fan ‘verses.! I admit, I was sceptical of your claims in the beginning. The first 6 points were persuasive, but I was not entirely sure. Then I reached point #7 and … and … OH MY GOD! I don’t think there can be any more doubt. Any thoughts on the other time lords who have graced our planet with their presence: Bill Nye and Mary Poppins (http://www.babble.com/disney/12-reasons-mary-poppins-is-secretly-a-time-lord/)? I knew about Mary Poppins, but hadn’t realized Bill Nye was a time lord as well!